Yukon biathlete Nadia Moser was named the Female Athlete of the Year during the 2019 Biathlon Canada Awards on April 1. Moser said it was an honour to be named the female athlete of the year. "It means a lot," she said in an email. "It is a nice feeling to know that other people believe in you." When her name was announced as the winner, she said, it took her by surprise. "I was actually quite shocked that I won female athlete of the year," said Moser. "It was really unexpected for me because I thought the other girls did awesome jobs this year as well." Looking back on her season, Moser said her race in Austria was her fondest moment. "The highlight of my season has to be when I won first place at the IBU Cup in Obertilliach, Austria," said Moser. The win was Moser's first gold medal and first ever top-six finish in international competition. The race was a 7.5-kilometre sprint race and she finished in a time of 20:43.4 narrowly edging out the second-place finisher Natalia Gerbulova of Russia, who had a time of 20:43.8. 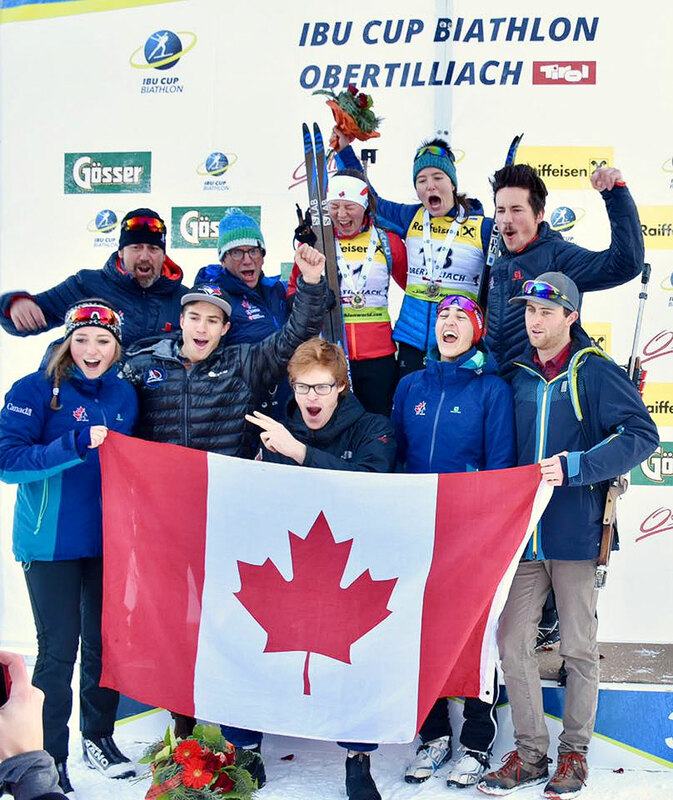 The last competition of the season for Moser was the Canadian and North American Biathlon Championships from March 27-31 in Whistler. In the Women 12.5 kilometre Individual race, Moser grabbed first finishing in a time of 35:16.1. "I shot pretty decent and had one of my better shooting races," said Moser in a separate interview after the Championships. "I managed to get my nerves under control, and it helped the other girls missed the targets." The penalty for a missed target was 45 seconds. Moser said her skiing it that race wasn't great. "The skiing was OK but nothing special," said Moser. "I was feeling the season on the legs. I was just thinking, I just need to get through this." Moser found the podium again with fellow Yukoner Jake Draper in the mixed relay. The duo came in third with a combined time of 41:11.3. She said in the relay her shooting was all right and her skiing again was not the best. She is already looking ahead to next year. "We have a rest month in April," said Moser. "After that, it is back to full-time training through the whole summer so we can improve for the next race season." Moser said she feels like she became a stronger biathlete this season but still has her sights set on more. "I feel like I improved," said Moser. "I am excited for next season. My European season ended earlier than I wanted so I am ready to get back and see the season through." Nice to see this athlete continue to shine. She is deserving and hardworking. She brings so much pride to the Yukon--right on Nadia! !